Hakone Nennekoya is a cosy guesthouse which has two Japanese-style rooms and two dormitory rooms. Formerly, a 44-year-old private house located in Miyagino, we have renovated both the interior and exterior by ourselves, keeping some of the old but good Showa styles to make it a unique guesthouse. Some of the facilities may be a bit old which you may find gaps between wooden window frames or need a knack to use the doors. These may cause some inconvenience, but if you would take these as part of the experience of your stay, we would be very happy. We will continue the renovation little by little and update the progress on our homepage, hope you can follow us! 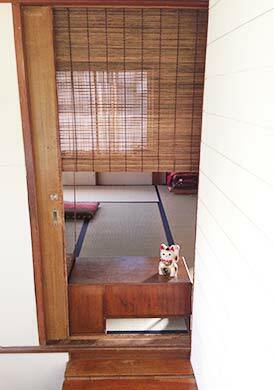 Please enjoy the Showa retro atmosphere and feel the fresh air living in Hakone at “Guesthouse Hakone Nennekoya”. Comparing with other areas in Hakone, Miyagino is a place where you can feel the surrounding air filled with peace. It is a good hot spring spot with mountains all around, providing beautiful scenery. 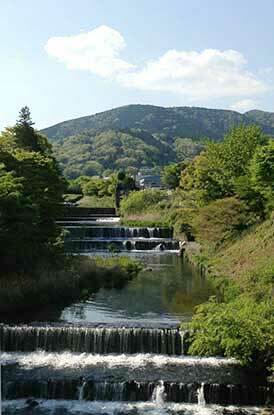 Besides, it has been a residential area to the local people allowing you to get closer to Hakone life and culture. The restaurants and tourist attractions near the area are popular with both locals and foreign visitors. While enjoying these spots during your stay, you can also refresh yourself in its natural environment. We are also close to famous areas such as Gora, Chokoku-no-mori, Sengokuhara, Miyanoshita. It is within walking distance to The Hakone Open-Air Museum, Kowakien Yunessun hot spring theme park and Gora area. Traveling by bus is another choice to get to these places. Besides, the pavement right in front of the guesthouse leads to a hiking trail of Mt. Myojingatake, which also guides you to Mt. Myojyogatake and Mt. Kintoki. There are lots to enjoy in Miyagino. We are looking forward to meeting you here! Copyright ⓒ 2013 Hakone Nennekoya All Rights Reserved.